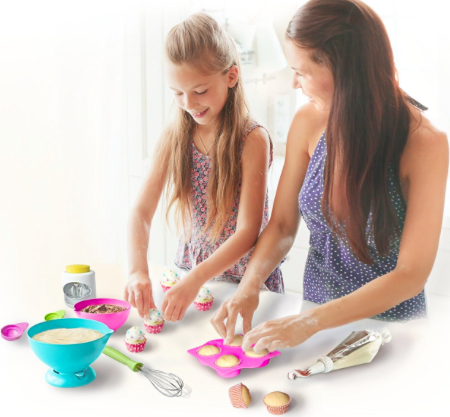 Got a kiddo on your holiday gift list who loves to bake? These sets from Real Cooking are perfect & fun starter sets for the intro chef! I like price of theReal Cooking Ultimate Baking Starter Set– it retails for $39.99 and is on sale on Amazon for $19.99! 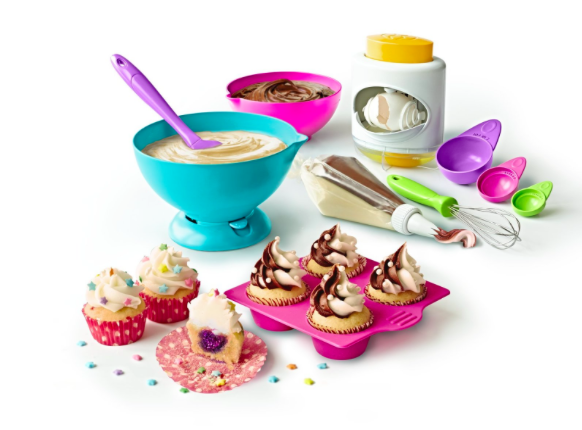 It comes with all the tools needed for making cute cupcakes including a kid-safe egg cracker which you just KNOW kids would be all over (potential to make a mess, they’re all in!) See the entire line of Real Cooking toys on Amazon and make your budding cook happy this season. That’s a wonderful suggestion for gift ideas for budding chefs! Here’s a sing-along playbook by Kidioke that little girls and boys will absolutely adore.